Hurricane Sandy’s Scary, But Alums Are Here to Help! Happy Halloween Alums! 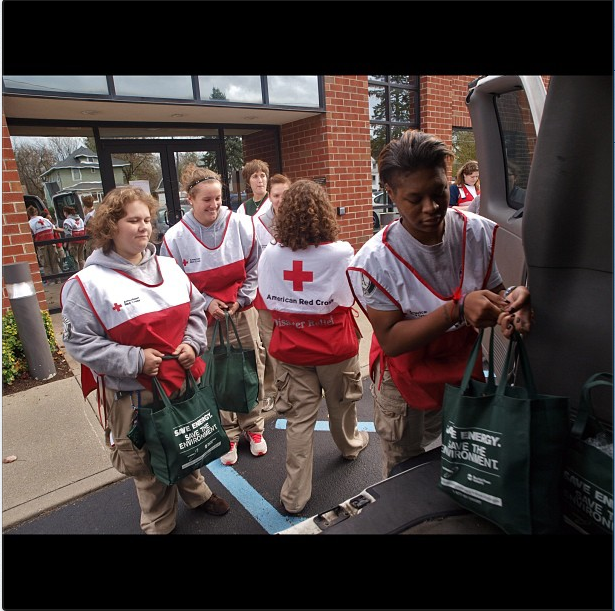 We want to recognize the 121 AmeriCorps and Senior Corps members who, as of Monday October 29, 2012, The Corporation for National and Community Service (CNCS) has deployed to assist with disaster response to Hurricane Sandy in five affected states. There are currently 290+ AmeriCorps NCCC FEMA Corps members stationed across six states to support FEMA emergency response operations in states impacted by the storm and more than 809 national service members are on stand-by for deployment once the weather clears. Many Alums have been asking for ways to get involved and we are thrilled to see the outpour of support for those affected by the path of Hurricane Sandy. Points of Light is working with HandsOn Network Volunteer Action Centers and partners activated across the northeast to help coordinate the volunteer response to Hurricane Sandy. We are currently supporting the American Red Cross and 211 operations throughout the region. To find more updates from our HandsOn Network affiliates check out our HandsOn disaster page. On Twitter, please follow @pointsoflight and @handsonnetwork for updates on ways to serve and @HonDisaster, @FEMA, @Readydotgov, and @RedCross for up to date news on Hurricane Sandy. If you are currently deployed to serve, either as a current member or Alum, we want to hear from you in the comments below to share your story.